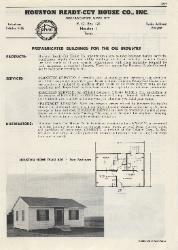 1954 Houston Ready-Cut House Co., Inc. This is a high resolution digital reproduction of an It is 3 pages. "asbestos shingle exterior walls, over solid sheathing." Houston Ready-Cut House Co., Inc. Preserving history one page at a time!